Description Tajori is Pakistan’s largest online Shopping Community where buyers and sellers meet to make awesome deals. 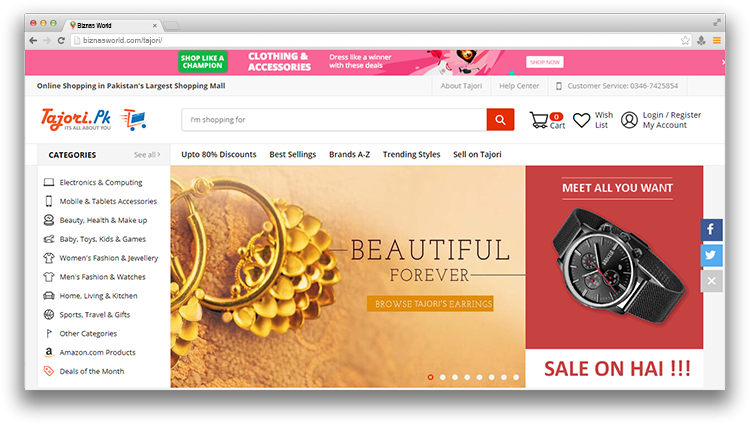 At Tajori, we pride ourselves in offering the best prices online in Pakistan for nearly all items sold ranging from fashion and electronics to jewellery, books and much more. Address Suite 513 Al-Hafeez Heights Lahore.